VII.2.24 Pompeii. Kitchen entrance and Steps to upper floor. Linked to VII.2.25 and VII.2.26. Excavated 1844. VII.2.24 Pompeii. December 2004. Entrance doorway looking towards south wall. 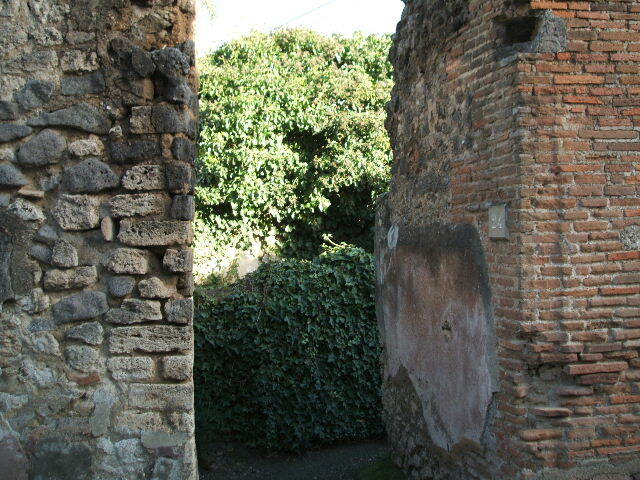 The wall would have been painted with a black zoccolo (lower part) and a white wall above.